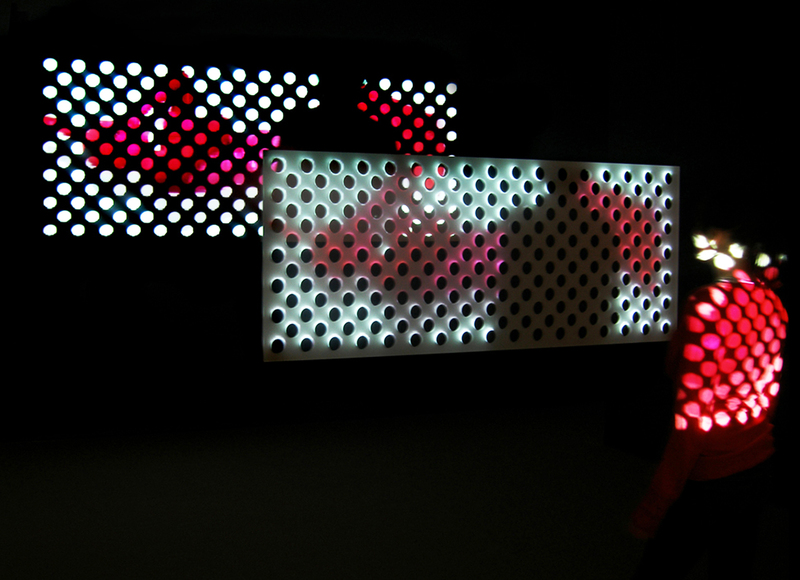 This system was presented at the Dancing Machines Exhibition during the EXIT Festival in Créteil, France (2010), and at the VIA Festival in Mauberge, France (2010). 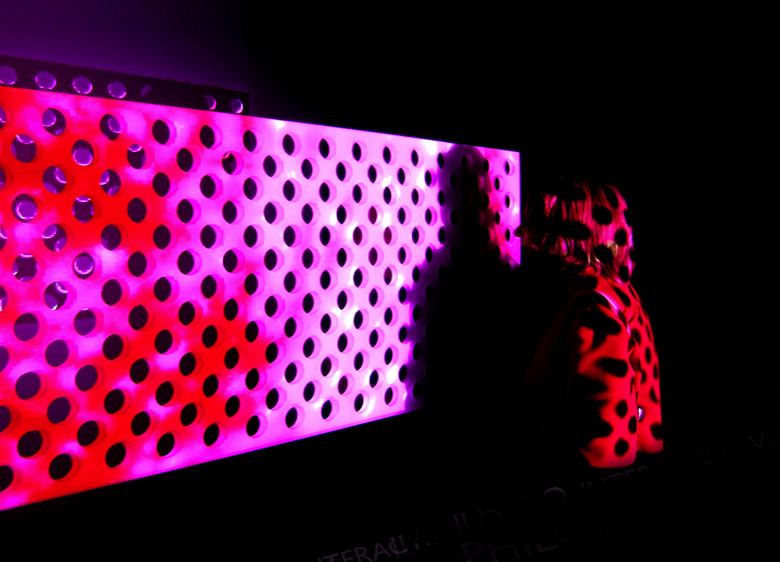 It was also exhibited at the Galerie UQAM, in Montreal (2007) and GL2 in Chicago, USA (2006). 1. Evrard, Guillaume. “Power of Illusion – Illusion of Power?”. 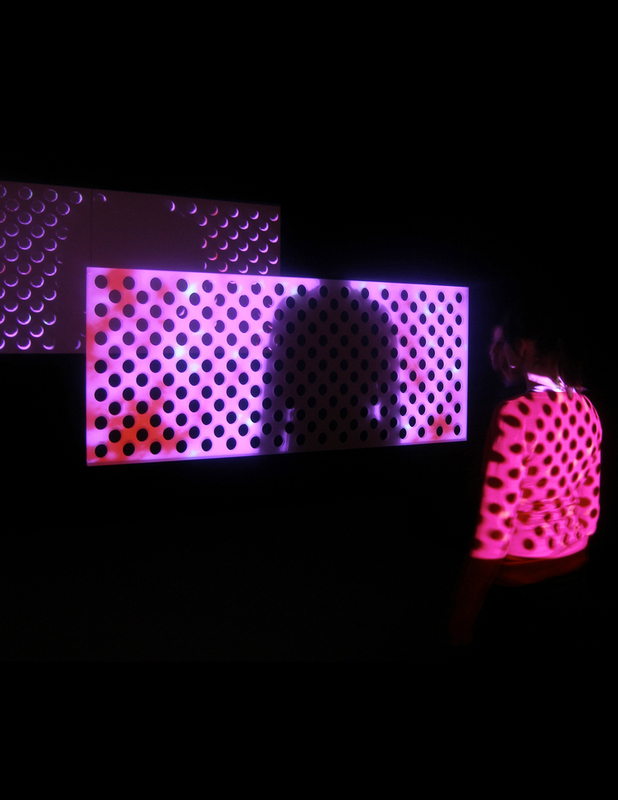 Exhibiton Text, March 2006.
the character responds and reacts to the predicament of being trapped by the shadow of its own environment. 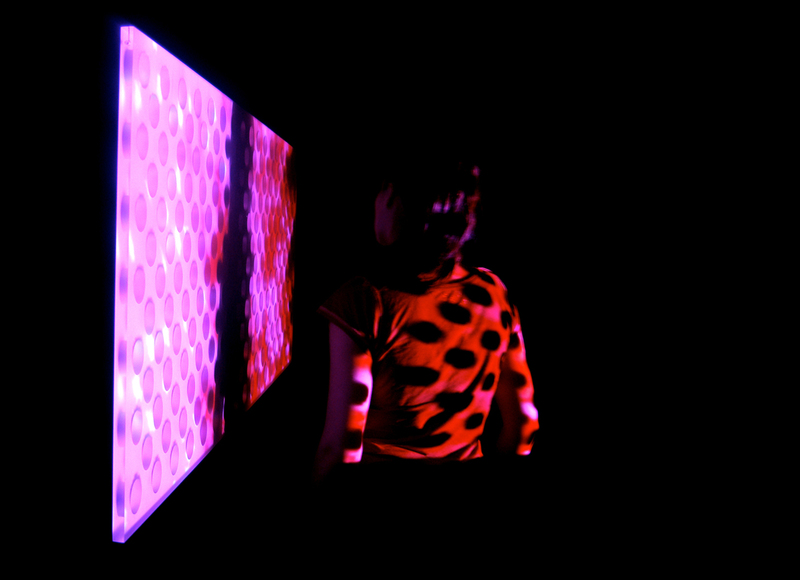 infrared sensors, speakers, wooden box, acrylic structure (video display). 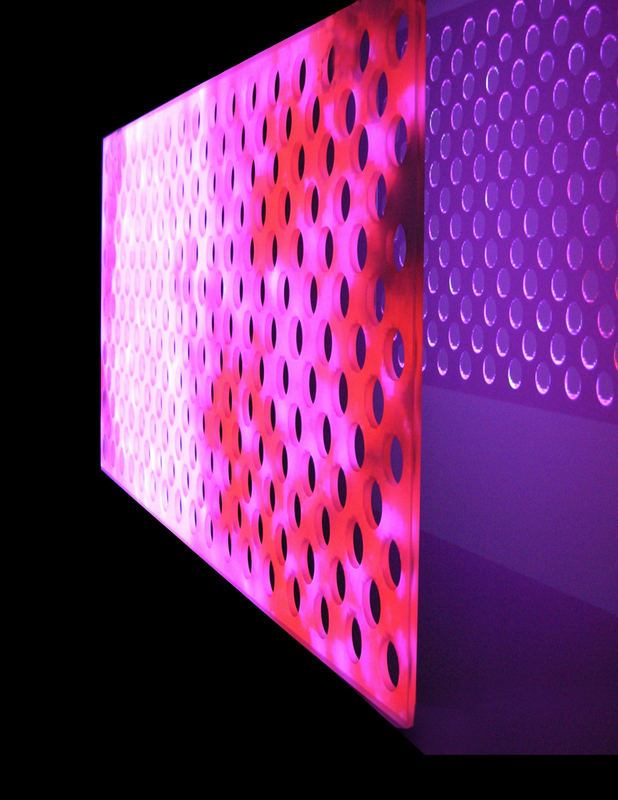 Acrylic structure: 62 (L) x 28 (h)x 1(w) inches, 40lbs. 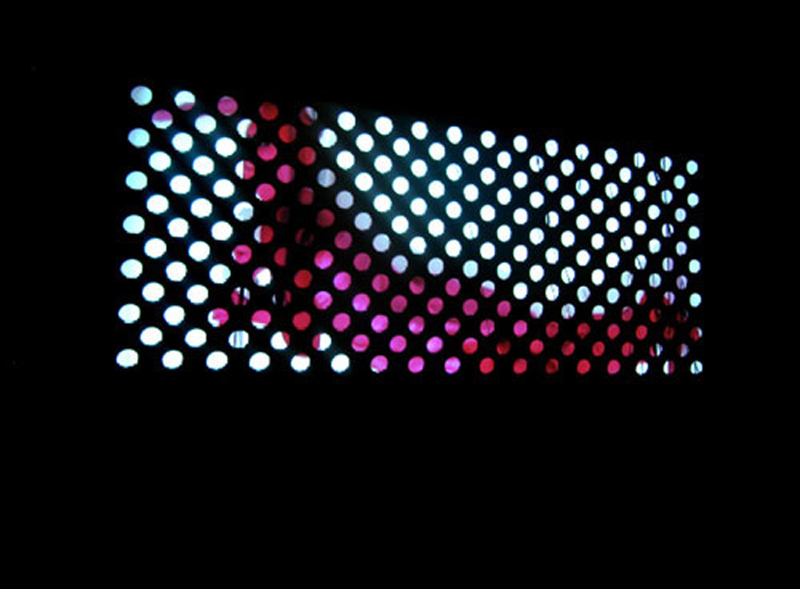 Dancing Machines, EXIT Festival, curated by Charles Carcopino, Maison des Arts de Créteil, Paris, France, March, 2010. Basculer. Galerie L’UQAM. Curated by Julie Bélisle, Mélanie Boucher, Audrey Genois. Chicago, IL, United States, May, 2006. Ionescu Titu, Alexandra. “PHILOMÈNE LONGPRÉ”. Isomorphism Magazine – Art Interdisciplinary Field. Coup de Coeur de Anguéliki Garidis. Exit. Dancing Machine. 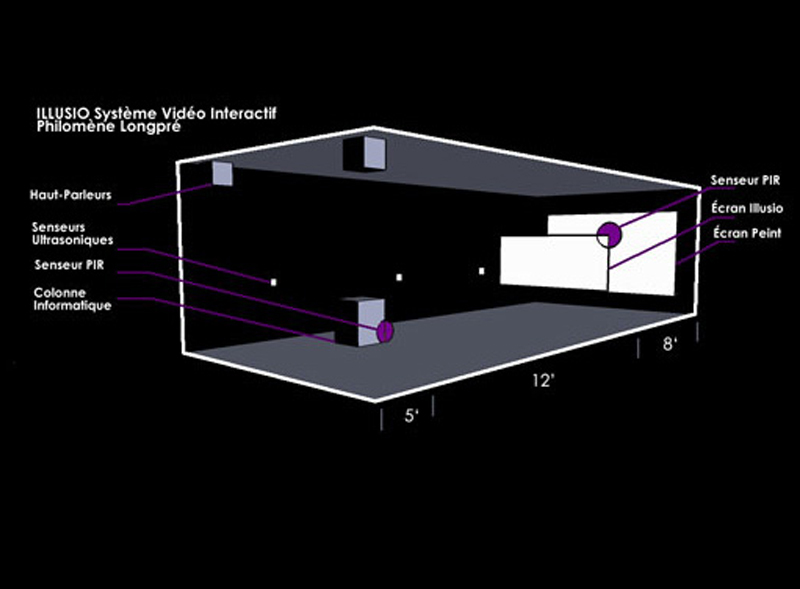 Arts numériques. Sept.13, 2011. Crevier, Lyne. « S(T)imulations. » ICI, Montreal. March 8, 2007. Redfern, Christine. « Basculer. » Mirror, Montreal. March 8, 2007. Evrard, Guillaume. “Power of Illusion – Illusion of Power?”. 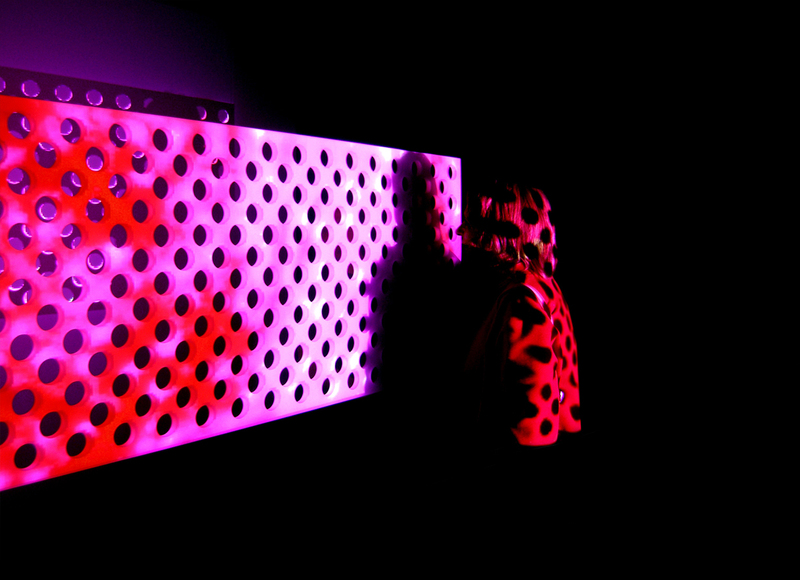 Exhibiton Text, March 2006.